Take this opportunity to enjoy this completely personalized private tour of Valencia and enjoy its most important monuments and sights. Valencia is one of Spain’s large cities and enjoy its beauty with your own private official tour guide and private luxury vehicle with chauffeur. You will be able to see attractions like Virgen Square, the Cathedral, the Miguelete and the central market. This private tour offered by Tour Travel & More will start off from your hotel, cruise port or place of choice in Valencia. From there we will start off your private tour of Valencia. Enjoy this full day private tour with your official your guide and comfortably in your private luxury vehicle with chauffeur to get to know Valencia’s most emblematic sights. When the tour is finished, your private official tour guide & chauffeur with vehicle will take you back to your hotel or place of choice in Valencia. Valencia is the capital of the autonomous community of Valencia. Valencia is the third largest city in Spain, after Madrid and Barcelona. It counts with more than 2 million inhabitants. The Port of Valencia is the 5th busiest container port in Europe and the busiest one in the Mediterranean Sea. The Romans founded Valencia in 138 BC as a Roman colony. Tour Travel & More offers private custom tours for families, group of friends or even incentives. We adapt our tours to fit your own personal needs. We also understand each customers needs while on holiday and we do everything possible to make your stay and experience unforgettable. 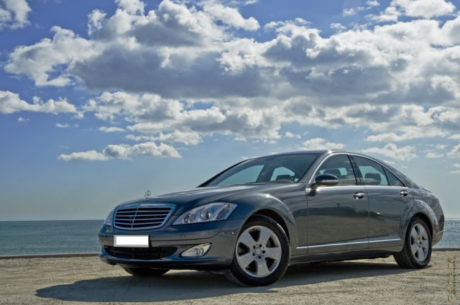 All our vehicles are private luxury vehicles, mini buses, and buses. Our guides are from Valencia and are in any case private official tour guide, licensed and all have great knowledge of Valencia to make your experience memorable. We have official guides in a large number of languages: English, Spanish, French, Italian, Polish, Dutch, Chinese, Russian, Japanese, German, Greek, & Portuguese amongst others.